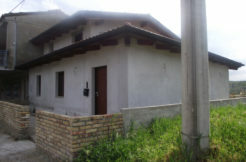 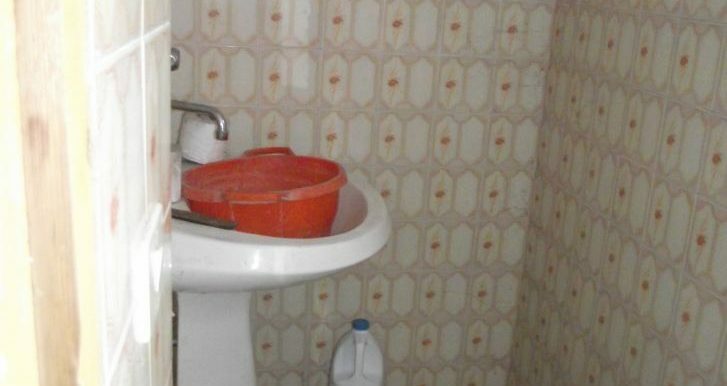 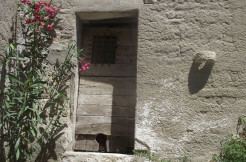 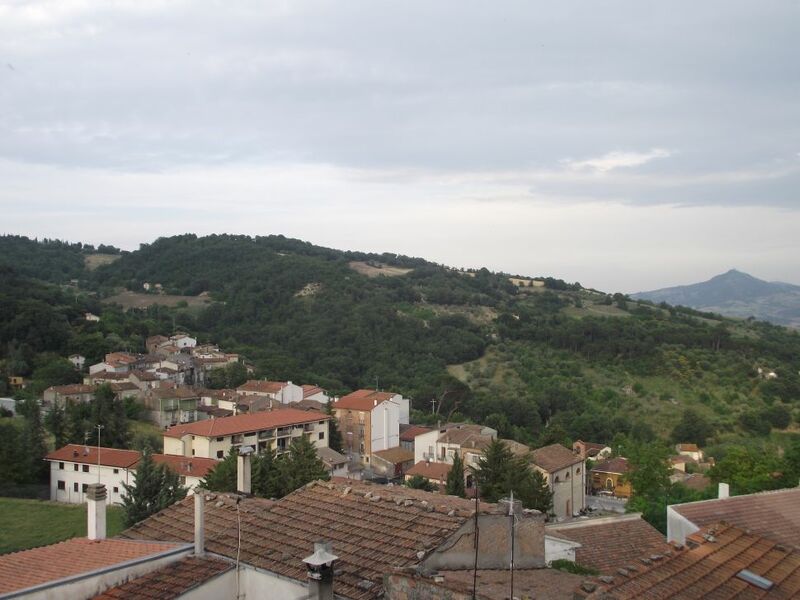 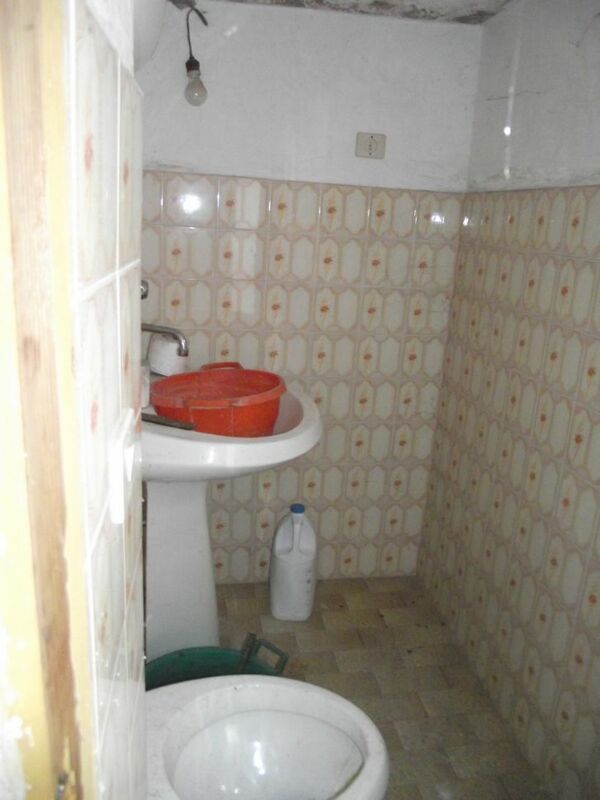 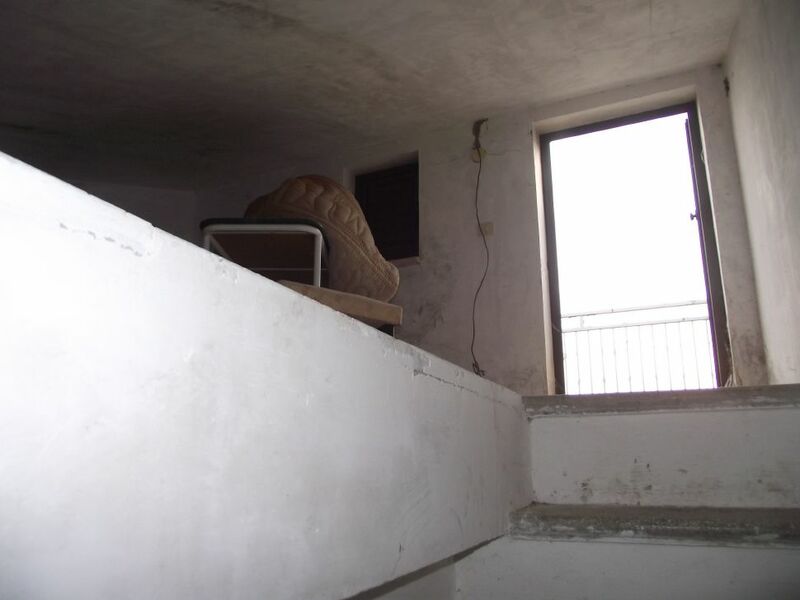 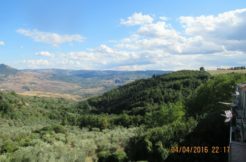 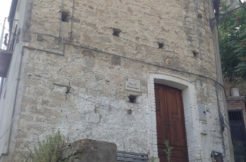 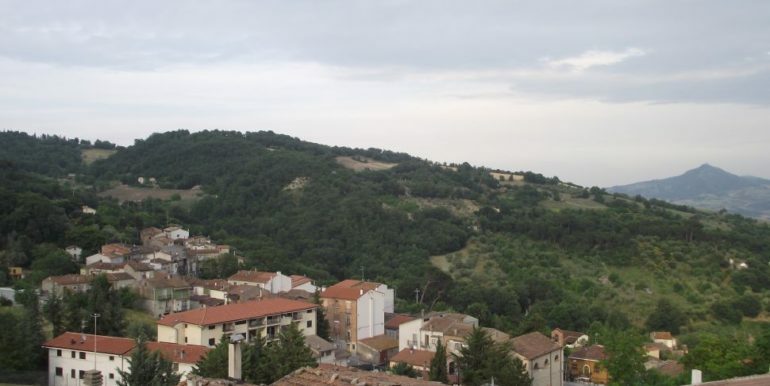 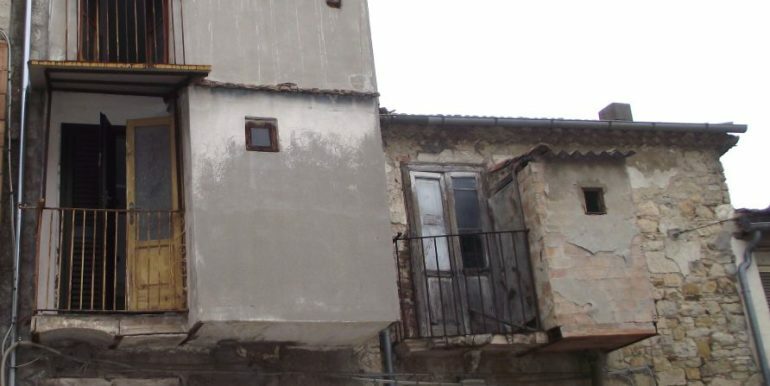 Town house in Molise for sale in the village of Lucito. 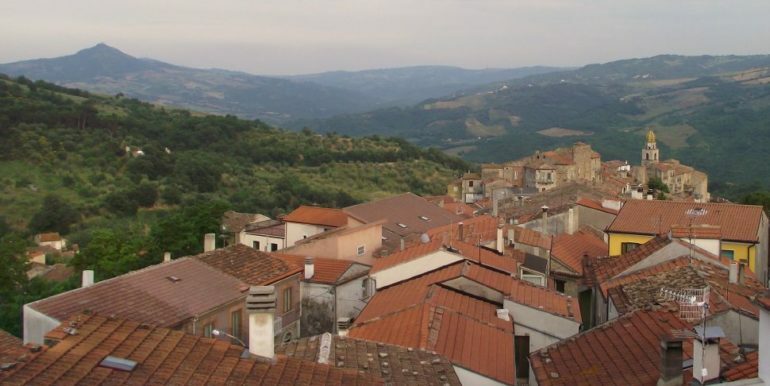 The house comprises two bedrooms and a small terrace with panoramic view over the old town center surrounded by the green mountains. 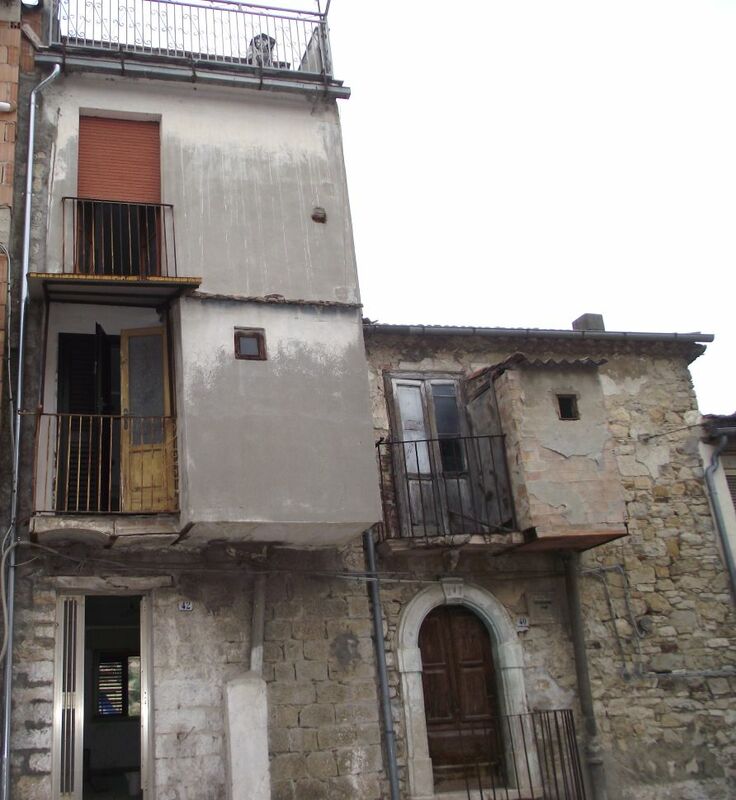 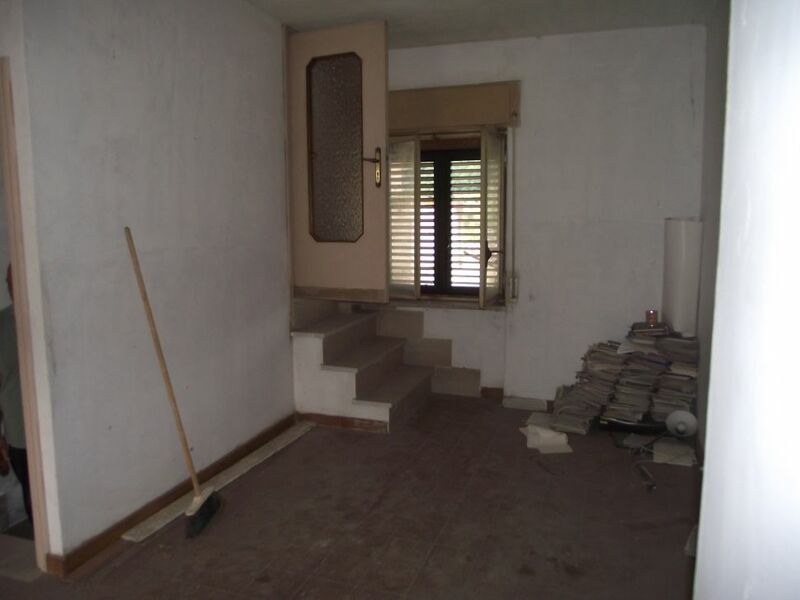 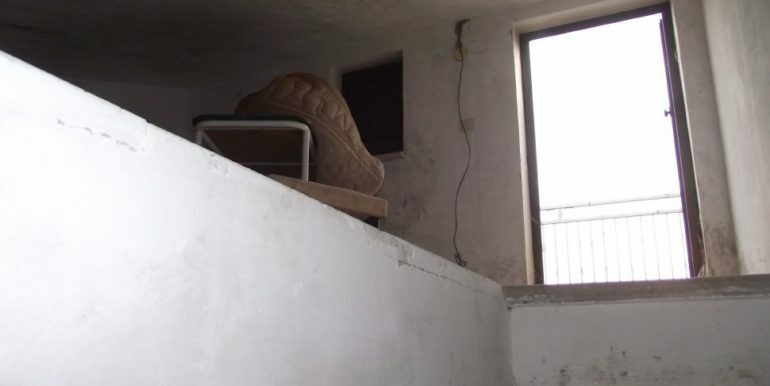 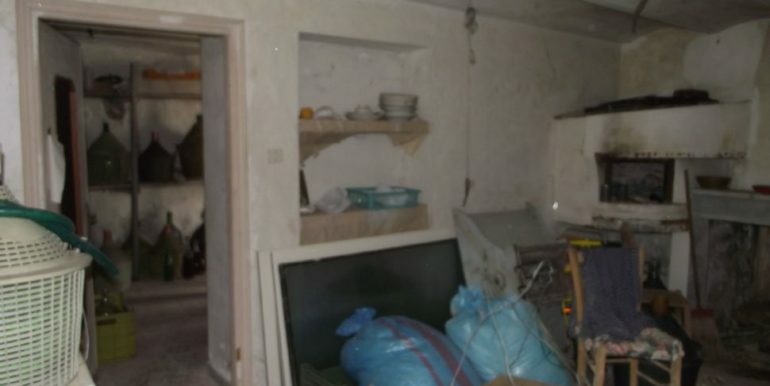 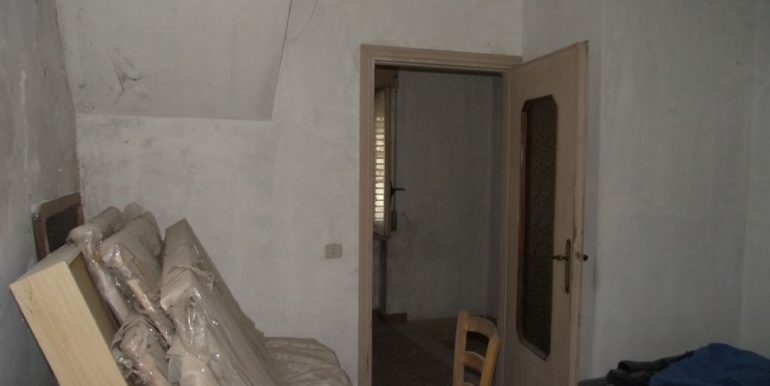 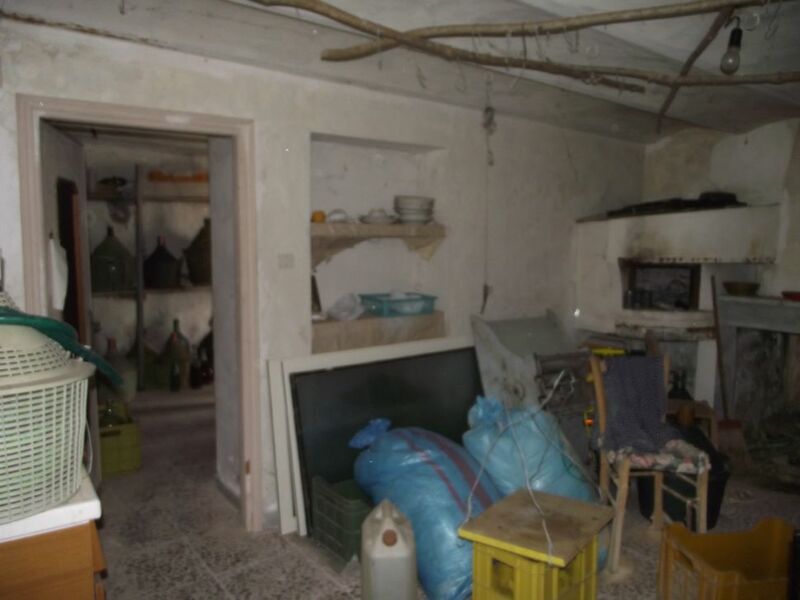 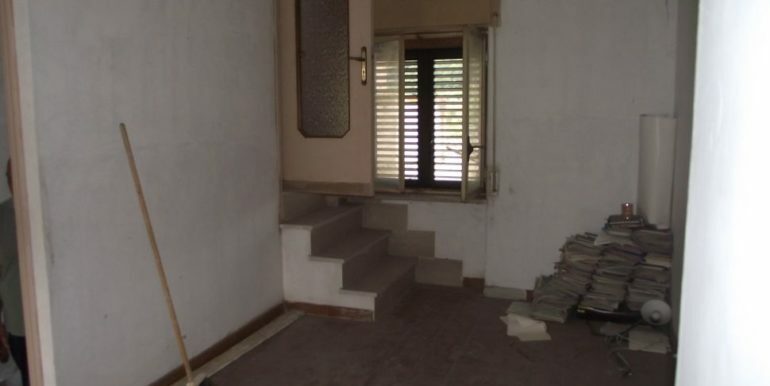 This small town house in Molise has a surface of approx 89 sqm and spreads over four levels plus a basement floor consisting in two rooms (one has a fireplace and pizza oven) that could be used as a living space (kitchenette and living room). 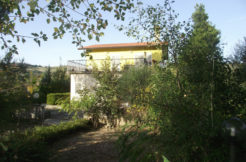 On the first floor there is a kitchen with window, on the second floor there is the first bedroom with an external bathroom in the balcony, on the third floor you will find the second bedroom with balcony and window, finally the fourth floor is an attic not liveable with a small terrace of 6,68 sqm with amazing panoramic view. 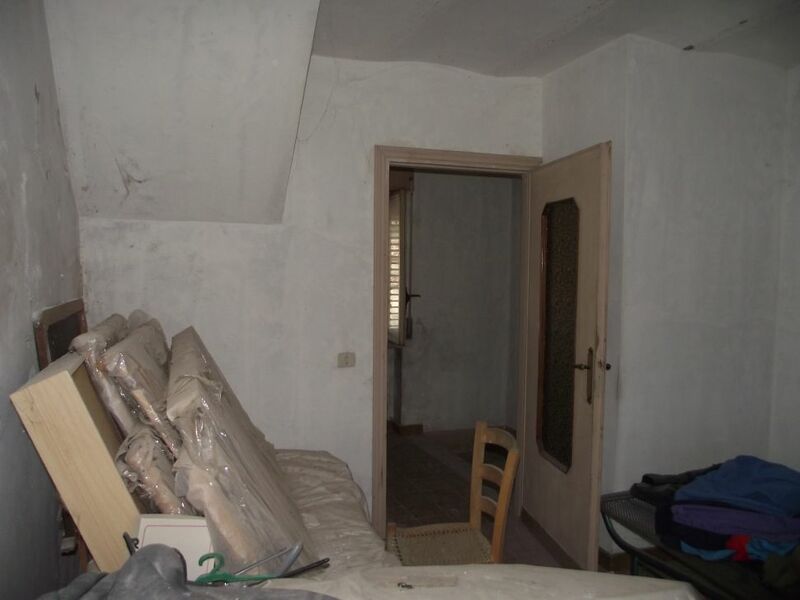 The property is structurally sound but it requires restoration and new utility systems.